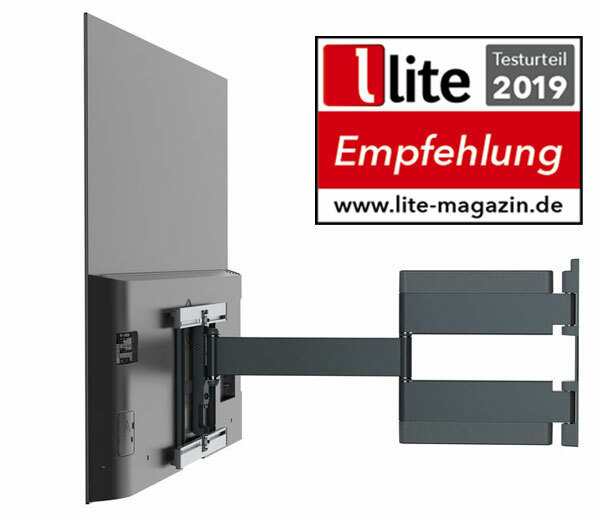 Um den LG Wallpaper an der Wand perfekt in Szene zu setzen, ist die elektrische, schwenkbare OLED TV-Wandhalterung NEXT 7555 genau das richtige Produkt für Sie! Diese exklusive Halterung kann per App oder über die Fernbedienung gesteuert werden. Thank you for ordering at Vogel's! We will start processing your order immediately. Within a few moments you will receive a confirmation of your order and your invoice. As soon as your order has shipped we will send you a shipment confirmation with details to track your shipment. If you have any questions, please contact us at webshop@vogels.com or by phone at +31402647480 (on work days between 9:00 and 17:00 CEST/CET).